Friday, June 16 – Sunday, June 18: CERAMICA. Montelupo Fiorentino. Open all day. Free admission. 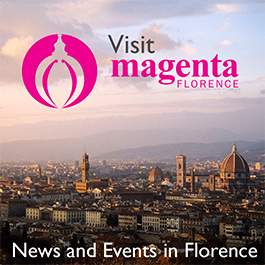 Only a half hour drive from Florence, the historical town of Montelupo Fiorentino will be holding the 25th edition of the Ceramics Festival this June. The small town has a long history of local artisans who have created handmade ceramics for noble Florentine families like the Medici, Strozzi, and Pandolfini since the 1400s and 1500s. This year’s edition will highlight artistic craftsmanship as it relates to the natural, and sometimes hidden, beauty of the environment. The market is designed for who wish to learn about this beautiful craft that interconnects art, history, and anthropology. During this special weekend, Montelupo’s Piazza Vittorio Veneto will feature nationally renowned ceramic exhibitors,artist meet and greets, light show installations, even storytellers and cultural ambassadors. Japanese sculptor Hidetoshi Nagasawa has created a site-specific installation that will be inaugurated this June as well. The ceremonial cutting of the ribbon will officially open the festival at 10 am on Friday, June 16. From 10 am to 12 noon a free visit will be available at the historic Manifattura Bitossi on via Gramsci. The “manifattura” is a workshop that has been making gorgeous pottery since 1921. Later in the afternoon at 5 pm, the MMAB Caffè in piazza Vittorio Veneto will be holding art therapy sessions, including the creation of mandalas and mosaics. At 5:30 pm, there will be a special storytelling session for children in the ancient Kamishibai Japanese technique. A special guided tour will be offered at 6 pm at the Atelier Spazio x Tempo – the workshop of acclaimed contemporary artist Marco Bagnoli that now doubles as a museum for pieces by other enigmatic artists. The evening will include an official drinks hour at 9 pm celebrating the 25th anniversary of the ceramics festival, followed by pianist Paolo Zanarella serenading the crowd while suspended above piazza dell’Unione Europea. 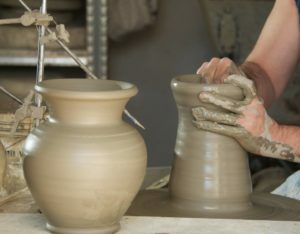 Ceramica also offers a Marino ceramics demonstration (via Baccio da Montelupo) from 3 to 5 pm on Saturday, June 17, which will give guests the opportunity to make their own masterpiece. Families will enjoy two events for both parents and children at 4:30 pm and 6 pm on Saturday at MMAB Caffè. The first is an experimental painting class using both traditional paint elements and natural elements as well. The second is a quiz game hidden in the Ceramics Museum. Besides tours of ceramic workshops, the final day of the festival, Sunday, June 18 will host a piazza dell’Unione Europea will be home to a sensational entertainment by artist Loretta Morrone who will perform acrobatics suspended above the ground hanging on a crane. The weekend will conclude with a ceremonial opening of a kiln which will showcase a special piece by Florentine artist Giovanni Chilleri. German sculptor Thomas Lange will also have his own retrospective of large installations in Palazzo Podestarile during Ceramica.